PARKING: Entrance to Baxter State Park currently requires a $14.00 day use fee (for out of state guests) which can be paid at a main entrance gatehouse. A limited amount of cars are allowed in each parking area and it is recommended to arrive very early to ensure you are "on the list". From the Togue Pond gatehouse follow the Park Tote road northeast about 8 miles to Roaring Brook campground. Parking is available for approximately 50 cars. 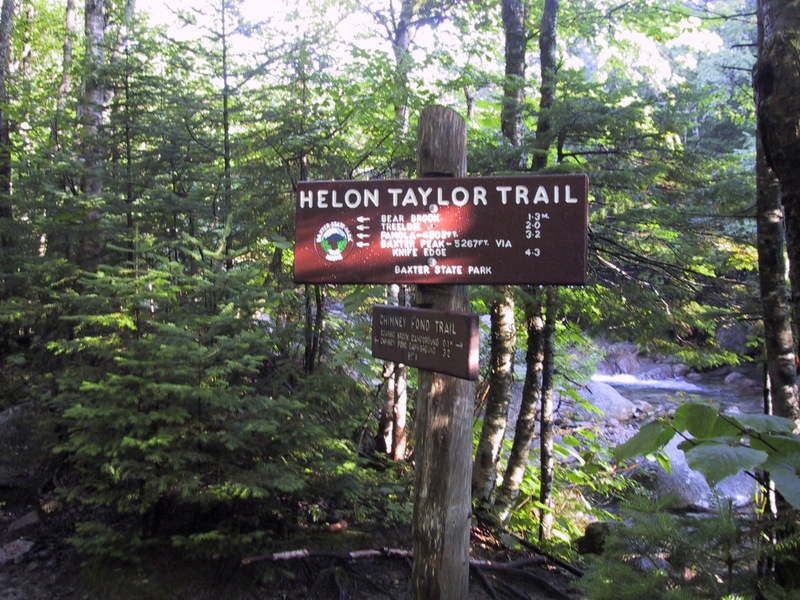 From parking at Roaring Brook campground head towards the ranger cabin and follow the Chimney Pond trail 0.1 miles to the Helon Taylor trail junction. The Helon Taylor trail climbs moderately through a mixed forest 0.5 miles to the crest of a ridge. The trail levels off for a short distance passing some large boulders providing great views and passing through scrub trees. 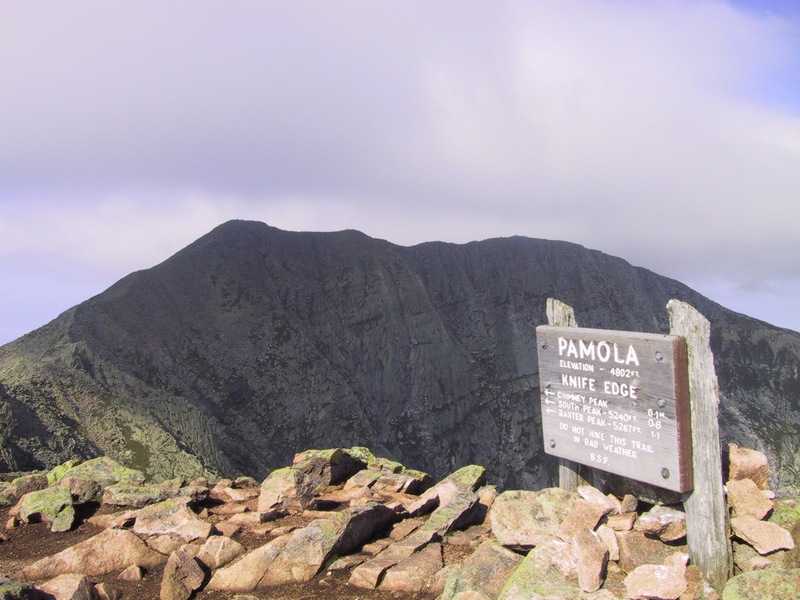 At 2.0 miles you reach tree line before an exposed, ruthless and relentless climb of Keep Ridge eventually reaching 4919 foot Pamola Peak after 3.2 miles. 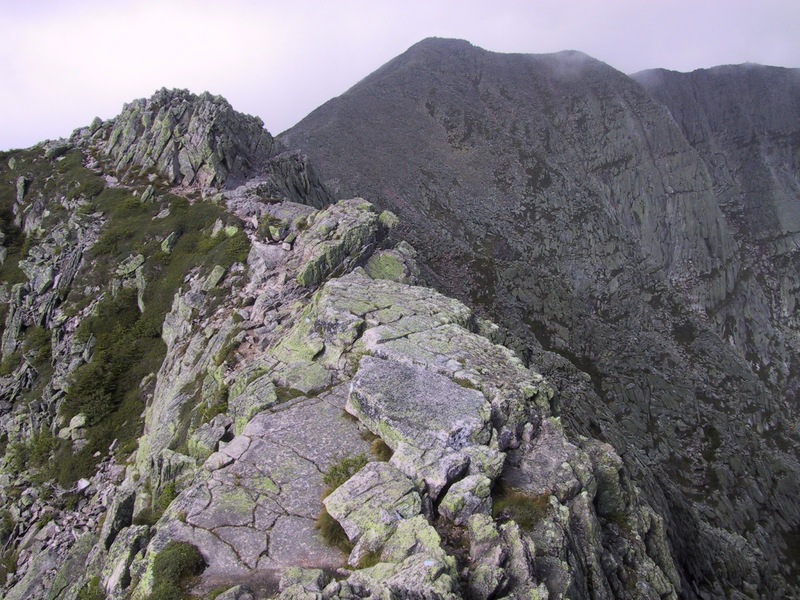 A narrow ridge with jagged peaks known as the Knife Edge leads 1.1 miles to the Baxter Peak summit. The knife edge is a precarious hike where, in places the trail is only 2-3 feet wide with thousand foot drops on both sides of you. It's intimidating, scary and one of the most spectacular mountain trails I've ever experienced. Take your time over this extremely challenging 3/4 mile of trail and enjoy the height, cliffs and exposure reaching Baxter south peak then turning northwest following the ridge another .35 miles to the highest point in Maine - Katahdin, Baxter Peak. 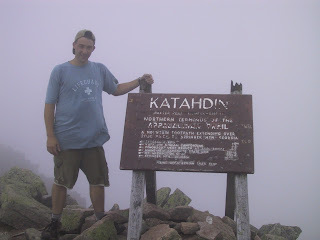 The summit is marked with a well worn triangular KATAHDIN sign. 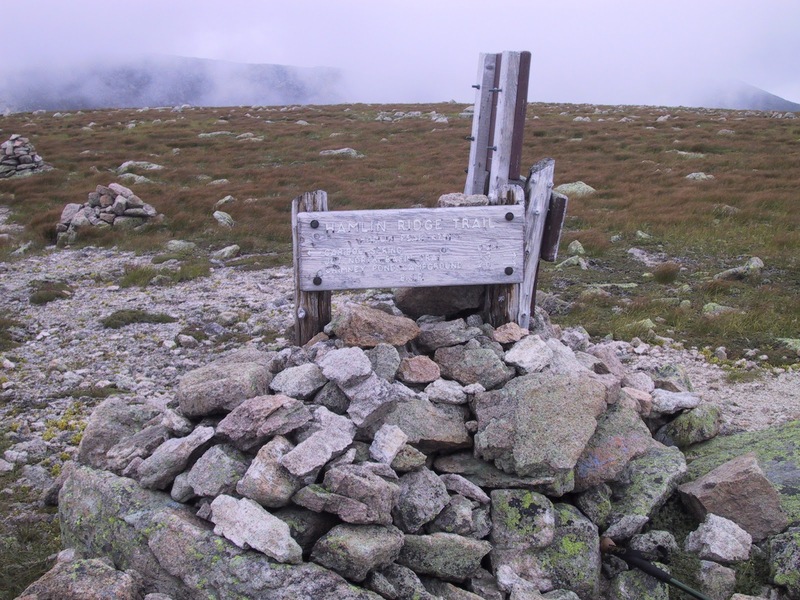 Descend the well worn Saddle trail over gentile slopes following cairns 1.0 miles to the saddle between Baxter and Hamlin Peaks and the junction with the Northwest Basin trail. Ascend Northwest basin climbing 500 feet vertical over 1 mile distance to a junction known as Caribou Spring. From Caribou Spring follow the Hamlin Ridge trail a short 0.2 miles to Hamlin Peak, the second highest point in Maine. There are several trails that descend in an easterly direction towards Chimney Pond and the Roaring Brook parking area. I had the benefit of a car spot and the ability to traverse the mountain descending the Abol Trail to Abol Campground on the West side of Katahdin. I would not recommend this route unless you have a more than your feet as a means of transportation. Return via Hamlin Ridge to Caribou Spring and follow the Northwest Basin trail descending to the Saddle trail junction. 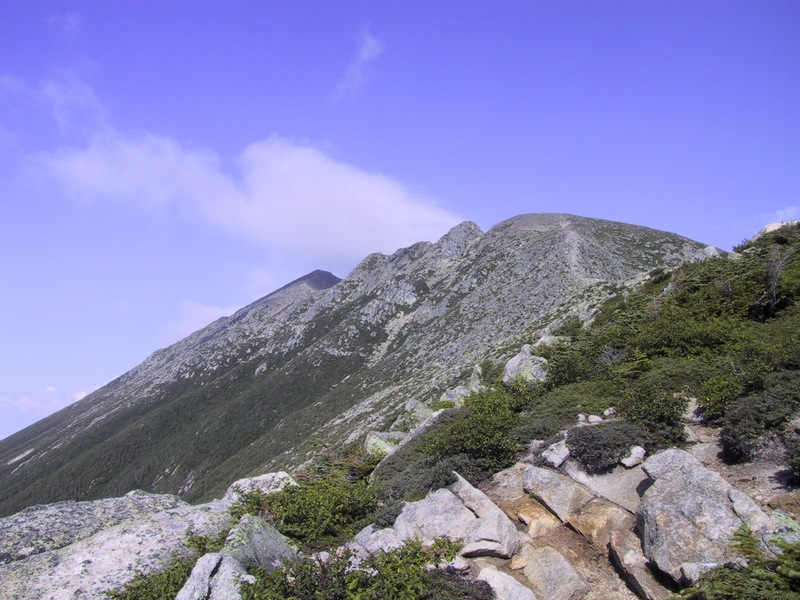 Ascend a few hundred feet to the Baxter Cutoff and follow the elevation contour around the cone of Baxter Peak 0.9 miles to a junction known as Thoreau Spring. Descend Abol Slide down the Southwestern side of Katahdin. The slide is dangerous due to loose gravel, extreme steepness and sore legs after a long day of hiking, use caution. Steeply descend a huge boulder field then continue descending a bare slope 1.3 miles to the foot of the slide. The trail enters the woods and follows Abol stream to a old carriage road distributing you at the back of Abol Campground. 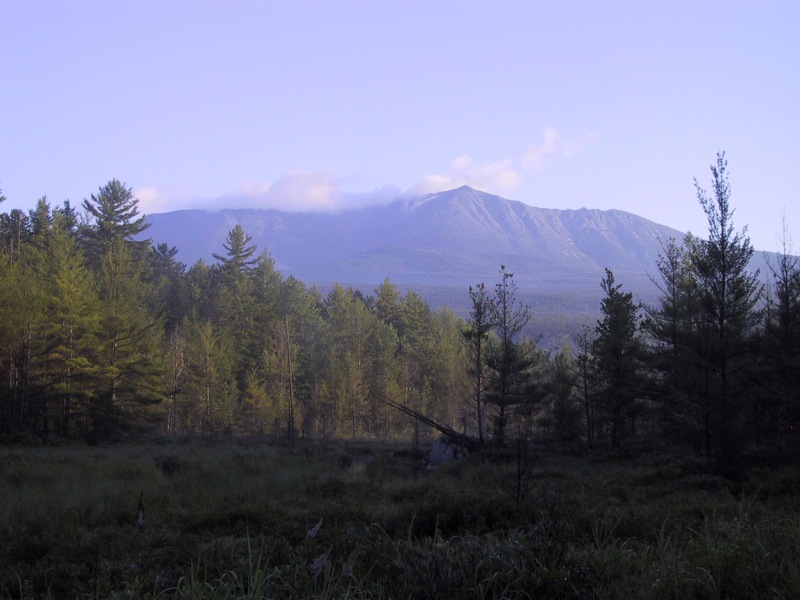 Baxter State Park is over 200,000 acres of wilderness land donated to the State of Maine to be preserved for wildlife and woodland related activities. Baxter State park is a unique and fascinating place that I recommend using a long weekend to explore the vast wilderness. 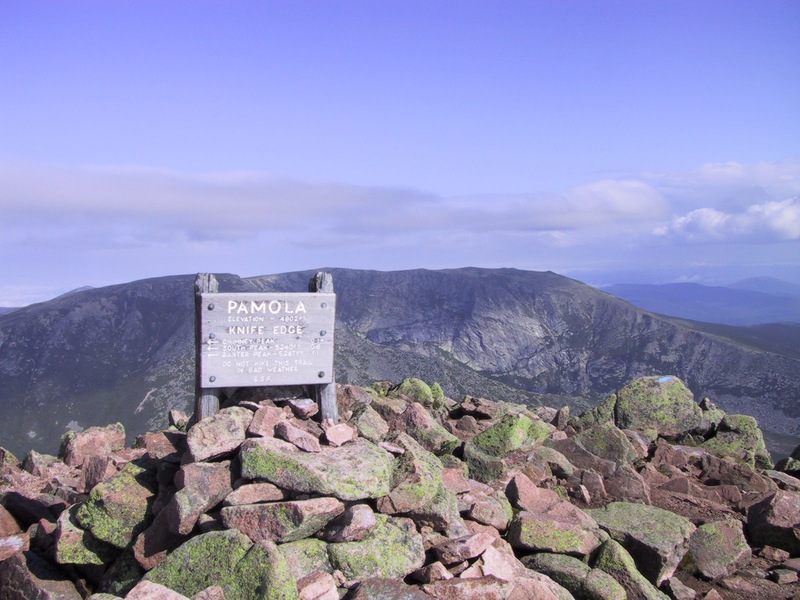 It contains several picnic areas, almost a dozen campgrounds, the highest two mountains in Maine, Mt. Katahdin - Baxter Peak and Hamlin Peak and arguably the best hiking experience in New England. I spent the weekend at Abol Campground and enjoyed the benefit of driving the park Tote road before the Togue Pond gatehouse opened for the day. 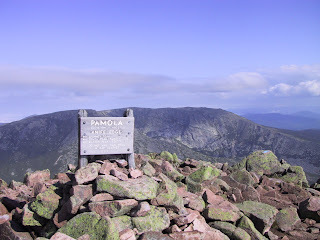 This amenity also allowed me the benefit of a non-hiking partner who willingly dropped me off at Roaring Brook in the morning allowing me to fully explore Pamola peak, the Knife Edge and the summit proper of Katahdin. I conveniently descended the Abol trail directly to my campground.